Royal Jelly is a nutritional powerhouse. 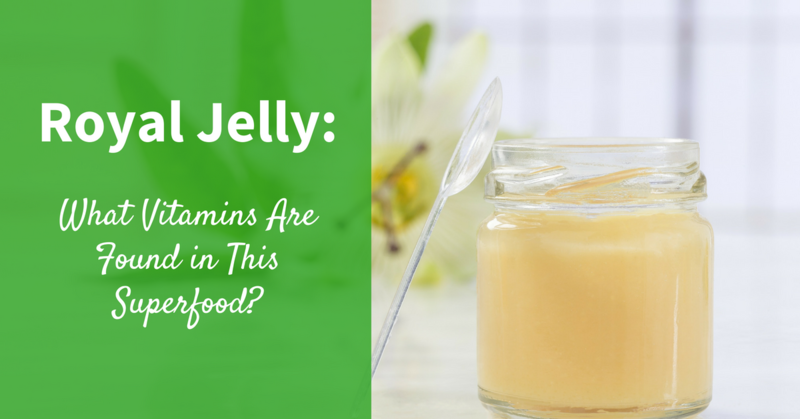 It contains vitamins A, all the B-vitamins, C, D and E. It is particularly high in the B vitamins including B1, B2, B3, B6, B12, biotin, folic acid, and inositol. It is also high in the B vitamin pantothenic acid, which is recognized for its ability to reduce stress levels and even reverse the graying of hair. 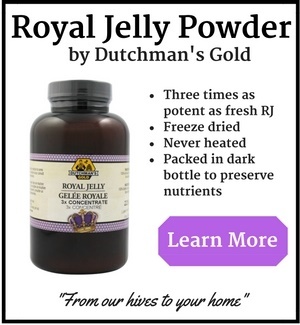 It is very important to remember that the vitamin amounts listed above for royal jelly are not 'standardized.' 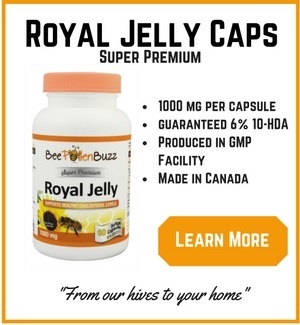 Many factors can affect the vitamin and mineral levels of a particular batch of royal jelly meaning each batch likely contains differing amounts. Royal jelly is not a multivitamin made in a lab to exact specifications. No one batch is guaranteed to contain the same amount of any particular vitamin or mineral. The levels listed above are a range based on averages. Not only is Royal Jelly a vitamin powerhouse, but it contains a treasury of other vital compounds. It is 12.3% protein, 5.5% fat and ranges from 12 - 15% carbohydrates. You could say it is a perfectly balanced food. With its naturally high protein content, royal jelly contains 17 amino acids including the 8 essential that the human body cannot manufacture and must get from the diet. 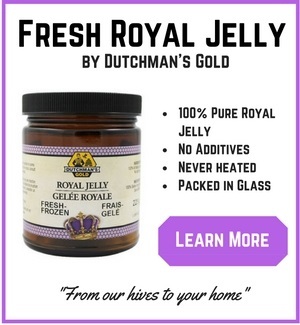 Natural hormones, essential sugars, nucleic acids, vegetable gelatin, gamma globulin and other fascinating nutrients are also found in royal jelly. In fact, nearly 3% of the substances in royal jelly have been pronounced "unidentifiable" by modern day scientists. In this form, the RJ has not been dried or processed in any way and has been handled minimally, preserving the vitality of the product.